Tentative vacancies-BSF-28 Posts,CRPF-94 Posts,CISF-37 Posts,ITBP-107 and SSB-38 Posts.Total-304 Posts. Age as on 01.08.2015-Minimum 20 and Maximum 25 Years.Age relaxation as per Govt.rules. How to apply-Eligible candidates are required to apply online on website www.upsconline.nic.in. Application received with prescribed examination fee will be rejected. Educational Qualification- B.Tech. in Mech. Engg./Automobile Engg. and computer Savvy. Educational Qualification: Master degree (preferred MBA-full-time) with Technology background. Education qualification: B.Tech in Mechanical /Automobile Engg./IT/ECE/CSE. Pay Scale-PB-3/Rs. 15600-39100/- + Rs. 5400/- Grade Pay. Qualification-Bachelor’s Degree in Library Science/Library & Information Science. Qualification-Matriculate with at least one year certificate in Agriculture. Uttar Pradesh Subordinate Services Selection Board invites online applications for recruitment of Chakbandi Lekhpal.Online applications starts from 16.04.2015 and the last date is 18.05.2015. For UR-1949,for OBC-769,for SC-50 and for ST-63 Posts. Application fee-For UR-160,for BC-160,for SC-70 and for ST-70 rupees. Mode of selection-Written Test + Interview.Qualification-10+2/Senior Secondary/Intermediate. Applications are invited on prescribed format of application for recruitment of various posts. Fireman -06 Posts.Qualification-10th qualified + Basic course on elementary fire-fighting Pay Scale-5200-20200 + 1900/-. 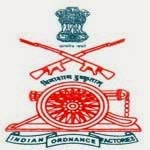 Conductor-1690 Posts.For UR-1204,for OBC-394,for SC-72 and for ST-20 Posts. The detail of Posts are as under-Uttar Pradesh Subordinate Services Selection Board (UPSSSC) invites online applications for recruitment of Conductors.Online applications starts from 24.04.2015 and the last date for online application is 25.05.2015. Age as on 01.01.2015-18 to 40 years.Relaxation as per govt. rules. Mode of Entrance Test-Computer based test will be held on 12.05.2015 to 19.05.2015. Date of Diploma Entrance Test (DET) 2015-31.05.2015 from 10:20 AM to 12:00 Noon. Eligibility for Diploma in Engineering Lateral Entry-Two years diploma from ITI. For General 115 posts,for General Female candidates-33 Posts,for Widow of UR category-12 posts,for Divorced female candidates-03 Posts,for Schedule Caste-30 Posts,for SC female candidates-09 posts,for SC widow candidates-03 Posts,for ST candidates-22 posts,for SC female candidates-07 posts,for ST widow-01 Posts,for BC -30 posts,for BC female-09 posts,for BC widow-03 posts and for SBC -02 posts. Age-21 to 35 years.Relaxation as per rules. Pay Scale-9300-34800 + Grade Pay 3600/-. Educational qualification for Science Stream- M.Sc./B.Sc./MCA/BCA /B. Tech./B.Sc. (IT) with Physics,Mathematics,Chemistry,Zoology,Botany,Biology, Electronics or Computer Science. Educational qualification for Arts Stream - MA/BA with English Literature,Urdu Literature,Hindi Literature,History,Political Science, Geography,Economics,Mathematics,Psychology, or Sociology. Pay Scale-Pay Band-1 Rs. 5200-20200 + Grade Pay Rs.2800/- plus Military Service Pay Rs.2000 + X Group pay Rs.1400/-. LIC Housing Finance Limited issued an advertisement for recruitment of 93 Assistant Managers and 200 Assistants.The last date for these posts are 30.04.2015. For Uttar Pradesh-10 Posts. For Madhya Pradesh-12 Posts. For Chhattisgarh-03 Posts.For Uttarakhand-01 Post. For West Bengal-10 Posts.For Assam-01 Post.For Bihar-03 Posts. For Odisha-03 Posts.For Jharkhand-01 Post.For Delhi-18 Posts.For Haryana-06 Posts.For Rajasthan-02 Posts.For Punjab-01 Post.For Karnataka-20 Posts.For Andhra Pradesh-15 Posts.For Telangana -06 Posts and for Tamilnadu-30 Posts.Total-200 Posts. Pay Scale-7400-455(1)-7855-495(2)-8845-560(5)-11645-650(2)-12945-790(3)-15315-825(2)-16965 and other allowances.Approximate salary 16335 rupees per month at this time. Qualification-Passed Graduate with minimum 50% marks.Knowledge of Computer. Paper 1 Date 14.02.2014 ,Time of Examination 10:00 AM to 12:00 Noon. Subjects-Social Science,Hindi,Science (Medical),Science (Non-Medical),Mathematics,Home Science,Fine Arts,Music,DPE,Sanskrit and English. Subject-Science (Medical)-Paper 2 Date 16.02.2014 ,Time of Examination 3:00 PM to 05:00 PM. A Govt. of India Enterprise. Mining-05 posts.Qualification-Bachelor Degree in Mining Engineering. Geology-02 posts,Qualification-Post-Graduate Degree in Geology. Research & Development -03 posts,Qualification-Bachelor Degree in Engineering / Technology or Post-Graduate qualification in science (Physics / Chemistry / Mathematics / Geology) with Chemistry at Graduation level. For SC-06,ST-03,OBC-11 and for UR-20 Posts.Total Posts-40.All of these posts are not for Physically Handicapped candidates since nature of duties involves physical work in the River/River Bank. Pay Scale-5200-20200 + Grade Pay 1800/-. Age limit on the last date of application-18 to 30 years.Relaxation as per govt. rules. Essential qualification- Passed Matric or ITI from any recognised Board or Institution. Desirable qualification-Knowing Swimming and Plying of Boat. VCI will hold AIPVT -2015 on 20.06.2015 from 2:00 PM to 5:00 PM at various exam centres for admission in Bachelor of Veterinary Science (B.V.Sc. and A.H.) Course.Notification has issued on official website www.nci.nic.in.Total seats are approximate 300 and the course duration is05 years with six months rotating internship. Pattern of AIPVT 2015-Question paper will contain 180 MCQ related to Physics,Chemistry,Biology (Botany and Zoology).The question paper will be in both Hindi and English medium. Age as on 31.12.2015-Minimum 17 years.Relaxation as per rules. Last date for deposit of fee-16.05.2015 (During Bank Hours). Qualification-HSC (Science), D.Ed in English medium.Experience-Minimum six months. Volley Ball-06 Posts (For male candidates).For Mandi -02, Hamirpur-02, and Shimla-02 Posts. Badminton-02 Posts (For male candidates o1 and for female 01 post).For Solan and Shimla. Table Tennis-02 Posts (For male candidates o1 and for female 01 post). Chess-01 Post (For male candidates).Duty at circle office. Pay Scale- Rs 5200-20200+ Rs. 2400/-Grade Pay. Age as on 05.05.2015-18-27 Years.Relaxation as per Govt. rules.Relaxation as per rules. Athletics: 59 Posts,Boxing: 25 Posts,Gymnastics: 11 Posts,Weightlifting-17 Posts. Handball- 03 Posts,Polo-01 Post,Volleyball: 10 Posts. LDC-03 Posts,Cook-01 Post,MTS-03 Posts,Mess Staff-03 Posts,Doi-01 Post and Safaiwala-03 Posts. Carpenter-01 Post,A/C Mechanic (A)-01 Post,Painter-02 Posts,Instrument Repair-01 Post,MTS-01 Post. Laboratory Assistant-01 Post,Store Keeper-01 Post,MTS-05 Posts,Mess Staff-02 and Safaiwala-05 Posts. Date-10.04.2015 to 16.04.2015.Name of Districts covered in this third SPEED 2015 round-Jind,Hisar,Sirsa,Bhiwani and Fatehabad.Venue-Mahavir Stadium,Hisar. Date-10.04.2015 to 16.04.2015.Name of Districts covered in this third SPEED 2015 round-Gurugaon,Mewat,Palwal,Rewari,Faridabad and Narnoul./Venue-Tau Devi Lal Stadium,Gurugaon. Date-10.04.2015 to 16.04.2015.Name of Districts covered in this third SPEED 2015 round-Ambala,Kaithal.Kurukshetra,Panchkula and Yamunanagar. Haryana Staff Selection Commission may recruit 1919 Trained Graduate Teachers for govt. schools in Haryana in this year 2015.Advertisement may be published soon to complete recruitment process.Online applications will be filled for these Trained Graduate Teachers posts.The advertisement has not yet been published on Haryana Staff Selection Commission's official website www.hssc.gov.in.But news has been spread in Social Media about these Trained Graduate Teachers (TGT) recruitments.As per social media news Department of Education,Haryana send a proposal to Haryana Staff Selection Commission (HSSC) to recruit 1919 TGT posts (1694 TGT posts in Haryana cadre and 225 TGT posts in Mewat cadre). Haryana Staff Selection Commission may recruit 8145 Post Graduate Teachers and 1919 Trained Graduate Teachers for govt. schools in Haryana.Advertisement may be published soon.Online applications will be filled.The advertisement has not yet been published on any official website of Haryana Staff Selection Commission www.hssc.gov.in.But news has been spread in Social Media about these PGT and TGT recruitments.As per social media news Department of Education,Haryana send a proposal to Haryana Staff Selection Commission (HSSC) to recruit 7946 Post Graduate Teachers (PGTs) in Haryana cadre,199 PGT posts in Mewat cadre,1694 TGT posts in Haryana and 225 TGT posts in Mewat cadre. Date of interview-15.04.2015.Time of interview-09:30 AM. Security Assistant Grade-II -09 Posts. Pay Scale : Rs. 9300-34800 (PB-3)+Grade Pay:Rs. 4200/-.Upper age limit-45 years. Mode of selection-Eligible candidates will have to appear before a selection board to be constituted for the purpose for a Personal Interview carrying 100 marks. Pay Scale-Pay Band -2 Rs. 9300-34800 + Grade Pay of Rs. 4200/-. Qualification-Degree + 2 years experience in Courts/Tribunals +Degree in Law. Qualification-Degree + Degree in Library Science. Qualification-Passed 10 + 2 and Diploma in Speech Therapy + Two years experience. Age limit- 42 years for General candidates, 45 years for OBC candidates and 47 for SC/ST candidates.Application fee-Nil. Proof of date of birth (10th or Matric pass certificate)Proof of educational qualification. Caste certificate (In case of reserved categories).The list of eligible candidates will be published on the website of the RRC, after scrutiny of the applications. Delhi Subordinate Services Selection Board (DSSSB) announced date for One Tier Examination for recruitment of various posts.One Tier Examination will be held on 26.04.2015. Post Code 33/12-Junior Law Officer for Delhi Municipal Corporation. Post Code 47/13-Assistant Junior Law Officer /Labour Council for Delhi Municipal Corporation. Post Code 60/13 Legal Assistant in Delhi Fire Brigade Service. Post Code 61/13 Legal Assistant in Delhi Jal Board.